Collection offers a wealth of information about Polish Jews through the lens of JDC’s activities. 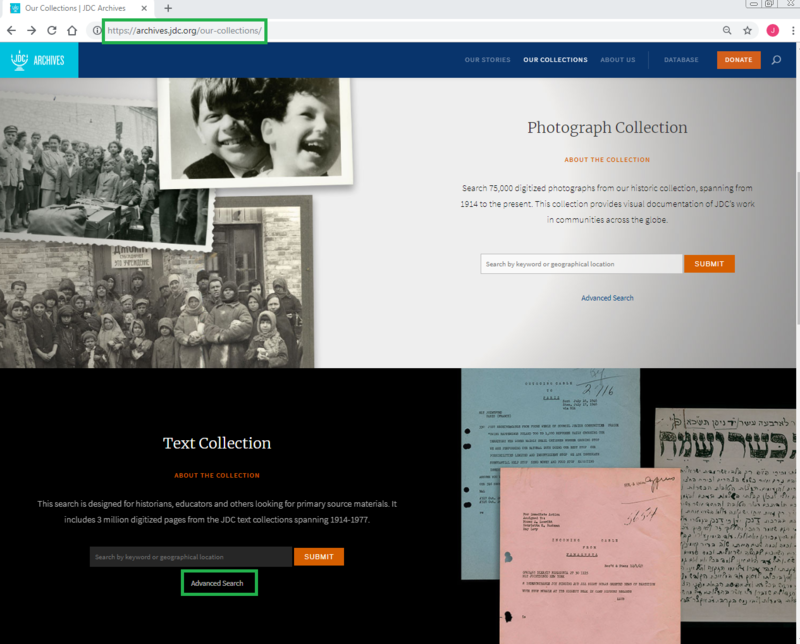 Genealogists, family historians, and Holocaust scholars mine various collections and many archives to search for information about Jews trapped in German-occupied Poland (the General Government). One collection in particular is at their fingertips, made available online by the JDC Archives. The records of JDC’s Warsaw Office in 1939-1941, with documents in Polish, Yiddish, German, Hebrew and English, offer a wealth of sources about Polish Jews during that time through the lens of JDC’s activities. They contain information of genealogical interest, and provide insight into the deteriorating situation of Jews in cities, towns, and villages across the General Government. Interestingly, this collection also includes correspondence with organizations outside of Poland, with foreign diplomatic missions, other JDC offices in Europe, and with businesses outside of Poland from which JDC purchased goods for needy Jews. 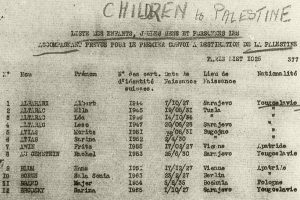 This collection includes many lists of Jews. 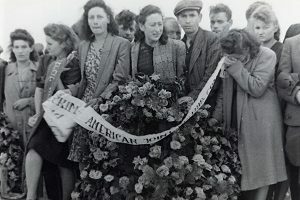 You may come across lists of town residents, refugees, aid recipients, children, and lists of prospective emigrants and their relatives abroad. The type and amount of information on these lists vary. Apart from names, you may find names of family members, address, age, date of birth, birthplace, residence, nationality, occupation, types of aid received, and signature. Another noteworthy genealogical source consists of travel authorizations issued to community representatives to visit JDC offices in Warsaw, Krakow, Lublin, and Radom. These documents provide names and the roles the representatives held in their communities. Then too, letters and postcards written by Jews to JDC offices include personal information, such as the authors’ names, address, occupation, and names of relatives. Selected correspondence mentions other details, such as prewar occupation, and wartime living conditions. 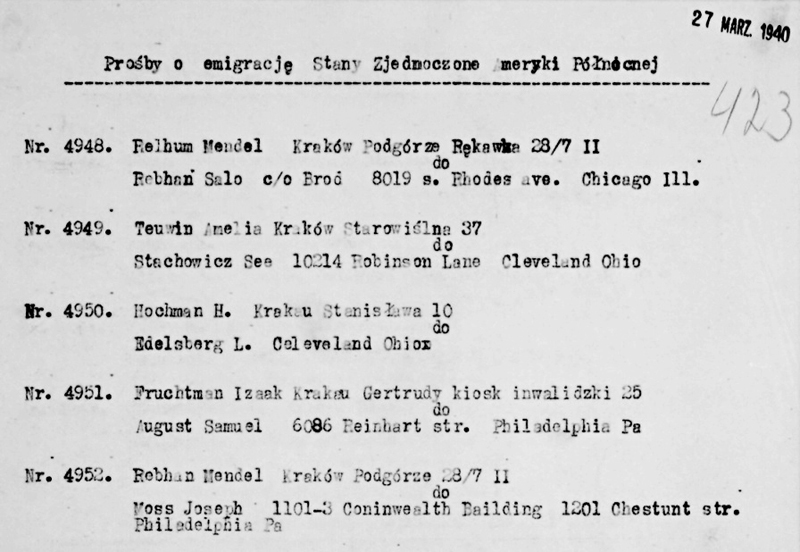 Excerpt from a list of Polish Jews who contacted their relatives in the U.S. to request emigration papers. 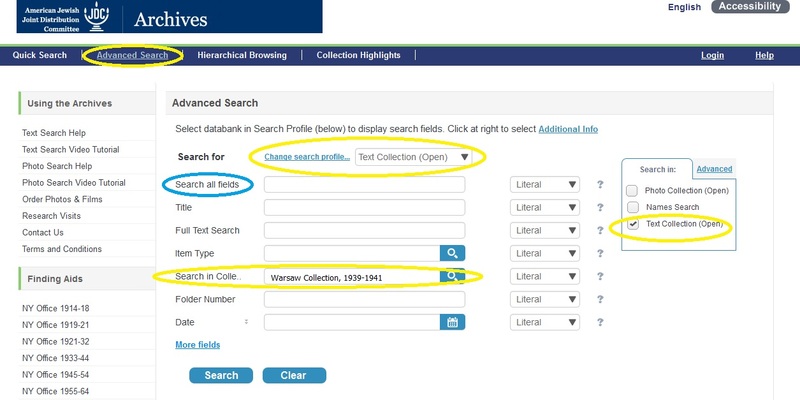 To search the text collection, go to https://archives.jdc.org/our-collections, scroll down to the section on Text Collections, and follow the steps above.